Amanda Gorton, Thomas Kelly, Justine Chamma, Hannah Courtney and Kim Moriarty-Baes. Brisbane winners are yet to be confirmed. Congratulations to: Kristina Dugec, Stacey White, Jade Charlton, Tristan Burns, Nicola Baldey, Nicole Hanham, Christine Lee, Fiona Chambers, Justine Cashman, Flic Manning, Wendy Hankin, Annelise Coleman, Amanda Gorton, Sabina Griffiths, Vanessa Jeffs, Jen Stosser, Daniela Gamma, Jarrod Stokes Marshall, Isabella Wilson, Cassandra Cathcart, Carmen Diano, Kayt Swan, Kerry Hawks, Simone Catanzariti, Angela von zum Hof, Kelly Moritz, Matt Graham, Jenny Patrizio, Belinda Bonello, Danae English, Joy Constantino, Jasmine Nelson, Sherelle Habkouk, Mandy Graham, Sarah Deck, Kara-lee Dewhirst, Ashleigh Riley, Diana Donato, Sasha Crump, Molly Givney, Georgia Norris, Kirraleigh Petty, Jasmine Nelson, Kate Campbell-Perry, Taree Sansbury, Amelia Pazderski, Maya Panisset, Lisa Xu, Kylee Thompson, Roxanne Catchlove, Lucy Johnson, Kellie Tabone, Felix Palmerson, Judith Tope, Anna Levene, Anne Vu, Natasha Marchev, Colette MacLaren, Samantha Law, Rhiannon Ferris. 2010 SURVEY IPOD TOUCH GIVEAWAY! Congratulations to the following readers who won 2010 Calendars by Energetiks and a selection of dancewear and dance bags from Capezio. Brittiny Edwards, Lucia Catanzariti, Bonnie Curtis, Elmira Forrest, Ashleigh Riley, Shammara Rajakaruna, Jane Khoo, Romi Foster, Serena Green, Catelynd Harvey, Jessica Innes, Michelle McVey, Nicole Ng, Tayla Lemon, Louisa Poletti, Kirsty Duncan, Joy Constantino, Hannah Heath, Katherine Riley, Rachel Templeton, Mel Hill, Indea Quinn, Laura Dawson, Anne Searle, Cassandra Cathcart, Abeni Halifax, Maya Panisset, Ef Saloniklis, Olivia Swadling, Rita Bush, Kristina Dugec, Serena McMahon, Chelsea Evans, Kimberley Hill, Abbey Suckling, Jacqueline Smith, Elizabeth Butler, Katy Hall, Sarah Deck, Ainslie Murray, Sonya McNulty, Emily Corkeron, Shelley Petchell, Adeline Harvey, Lisa Xu, Shannon Reinhard, Molly Givney, Michelle Temple, Brittany Sims, Megan Brewer. 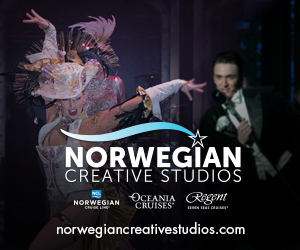 Visit their websites for the latest in dance fashion and footwear. Congratulations to Serena Green who won 4 tickets to Nutcracker. 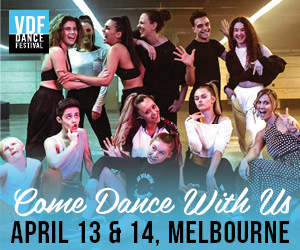 Congratulations to Sarah Radford and Libby Abbott who both won a free class pass to Melbourne workshops with Dana Wilson and Jaimie Goodwin of the USA. Congrats Angela von zum Hof, Jacqui Burns, Katherine Riley, Jasmin Forner and Katy Hall. FULL REGISTRATION - WINTER DANCE WORKSHOPS! Congrats Tayla Lemon, Danielle Canavan and Elissa Hui! Tickets for you and 3 friends! Amy Hall and Kristy Ellis and enjoyed double passes to the March 4th performance. Debra Whitten, Melissa Hill, Lydia McNamara, Anastazia Ludwig and Belinda Kawalek. Catherine Andrews and Genevieve Fackney who won 4 tickets each to The Australian Ballet School's Coppélia at the Sidney Myer Music Bowl, Melbourne on December 7th. Genevieve Nash, Jacqueline Ison, Kay Helliwell, Donna De Paoli and Naomi Marsh.